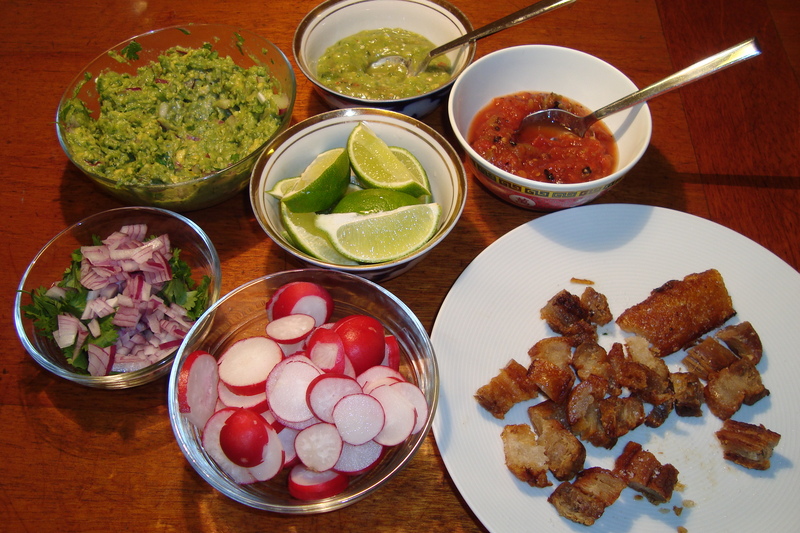 In high school, I worked at a Mexican restaurant, where I learned about enchiladas, pozole, and carnitas. 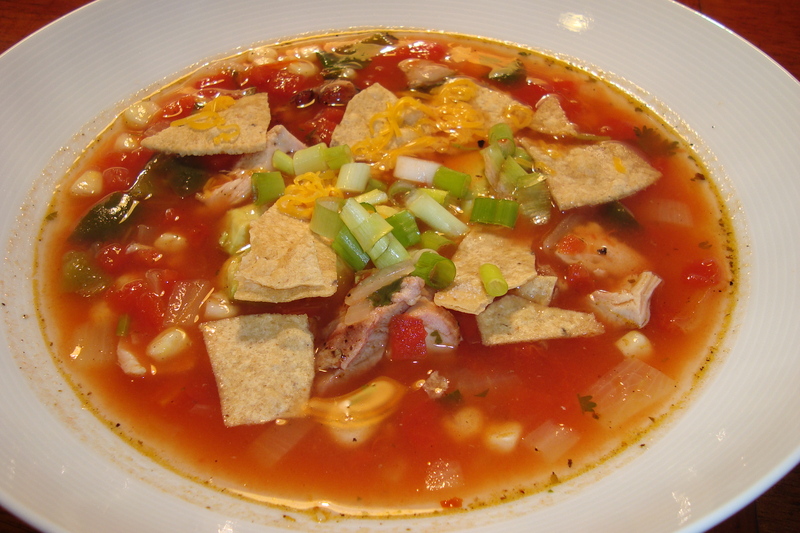 Tortilla soup was one of the staff’s favorite meal items. Here’s a quick, healthy version. Season the chicken thighs with salt and pepper and grill or pan fry until they are browned and cooked through. 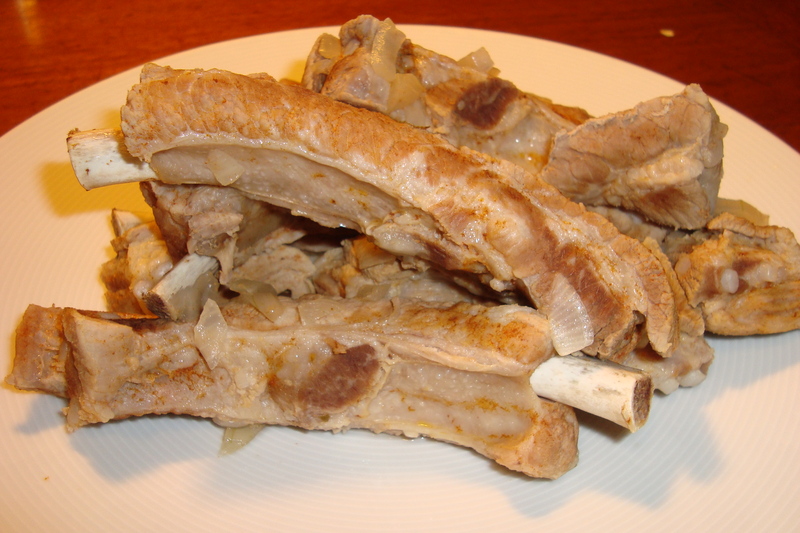 Allow to cook, then cut them into bite-sized pieces. In a large pot, heat the vegetable oil over medium heat. Add the onion, garlic, poblano pepper, and saute until the onions are softened. Add the tomato paste, tomatoes, chicken broth, cumin, coriander, and oregano. 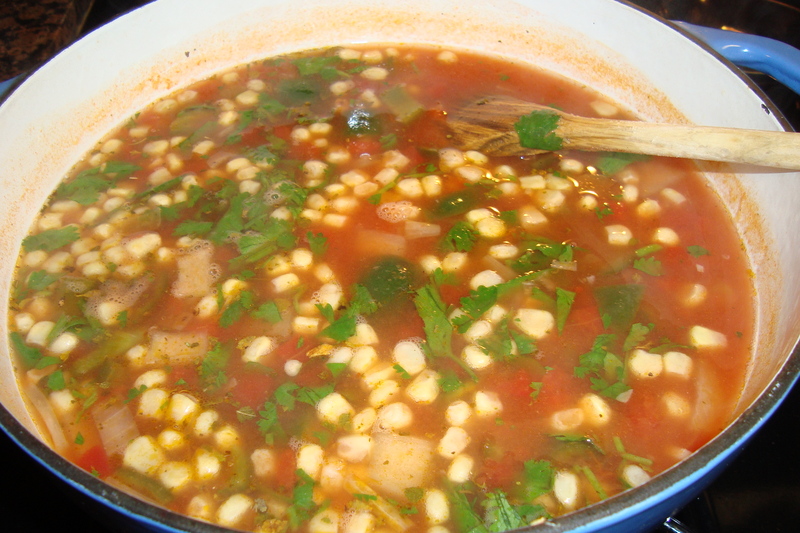 Bring to a boil, then add the corn. Simmer for 20 minutes. 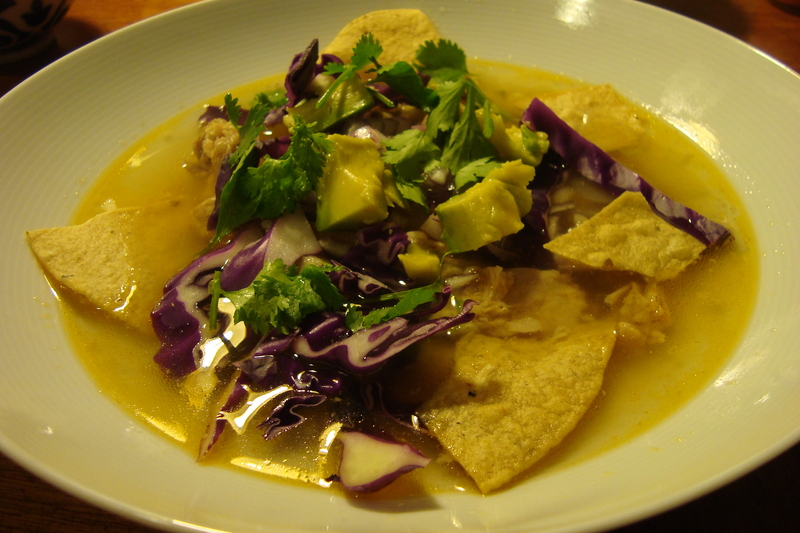 Add the chopped chicken to the soup, and serve with cheese, green onion, chips, lime, and avocado on the side. 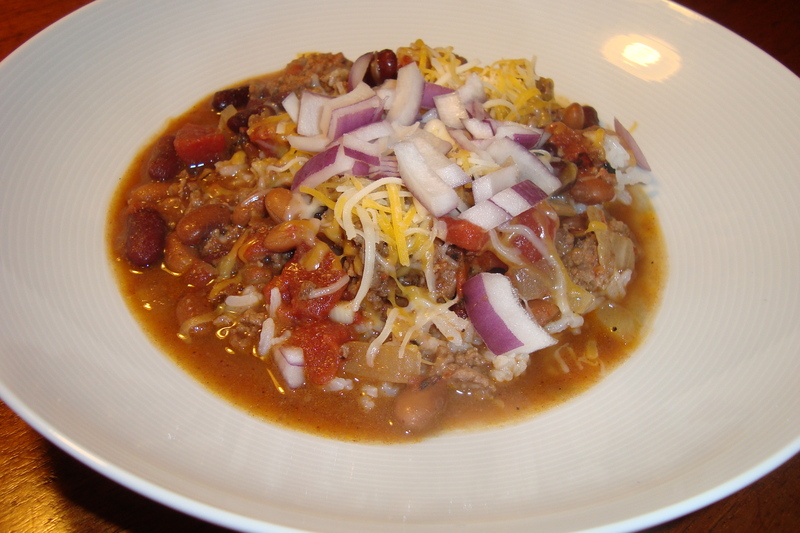 Chili was one of the first things that my mom showed me how to make while I was in college. It’s so simple, and can be modified any way that you like. In my first post-college apartment, my parents gave me a slow-cooker, and chili was the first thing I tried to make with it. It blew my mind! 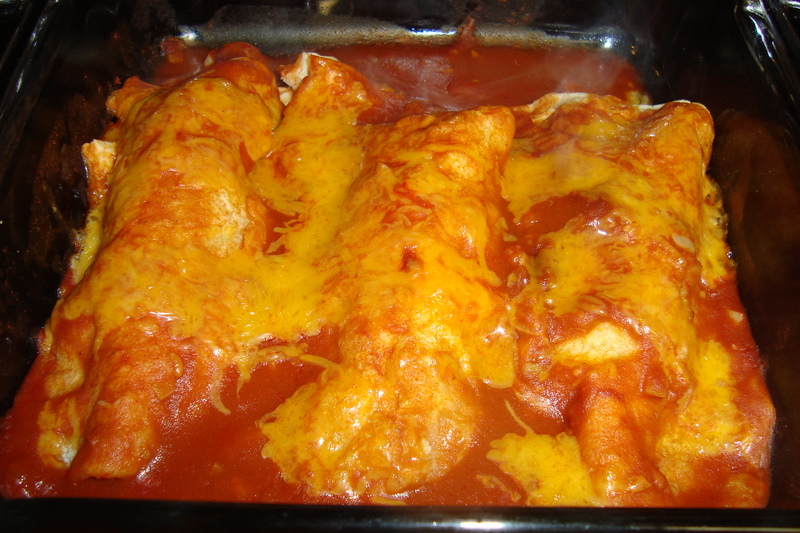 I could leave the house while it cooked and let the flavors really develop, and the beans were much more tender. Now I always make my chili in the slow-cooker. I usually eat it with rice, or try it with baked fries for a healthier version of my favorite food, chili cheese fries. Add all ingredients to slow-cooker. Cook on High setting for 4 hours or Low setting for 8 hours. Stir and break up the beef with a wooden spoon. Taste and add additional seasoning as necessary. 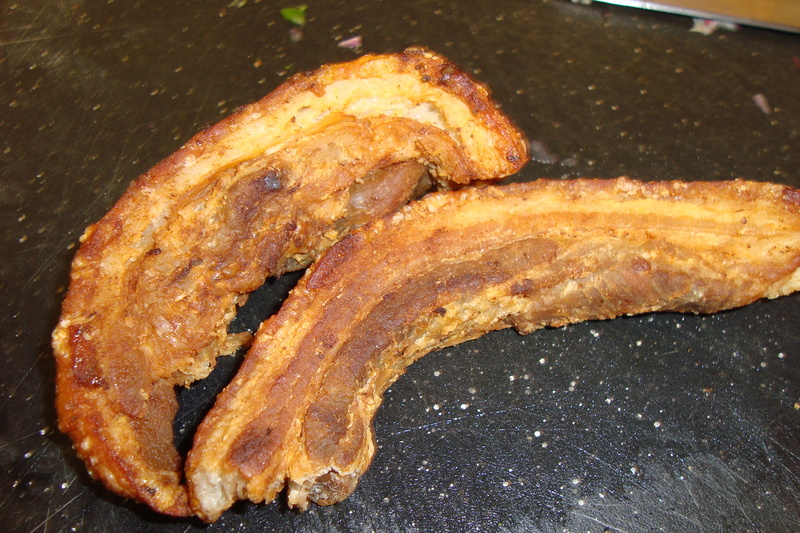 I sometimes add a bit of hot sauce (Chipotle Tabasco is my favorite for chili) or barbeque sauce at this point. Serve with any or all of the desired toppings. Use ground turkey or pork instead of beef. Use white beans, black beans, or garbanzo beans. Add beer instead of water. Add chocolate! A handful of chocolate chips (or 1/4 c if you have big hands) add a little sweetness/richness to the chili. 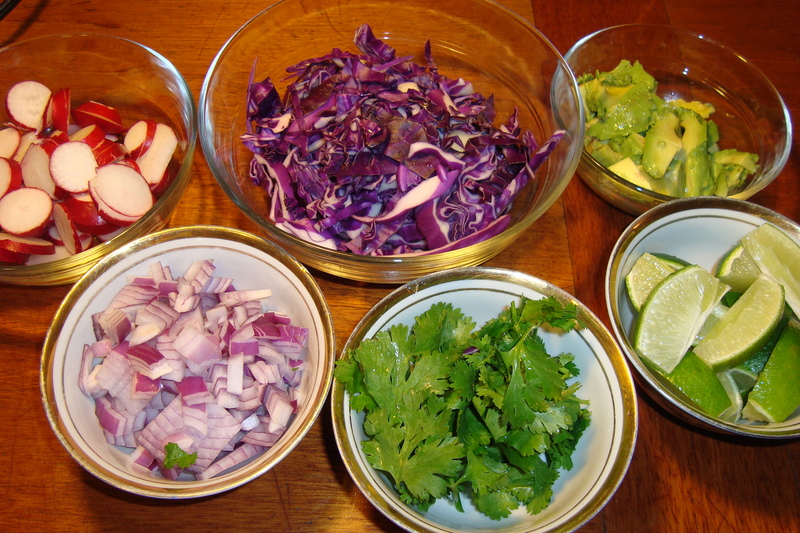 Add more vegetables – Try corn, mushrooms, or bell peppers. 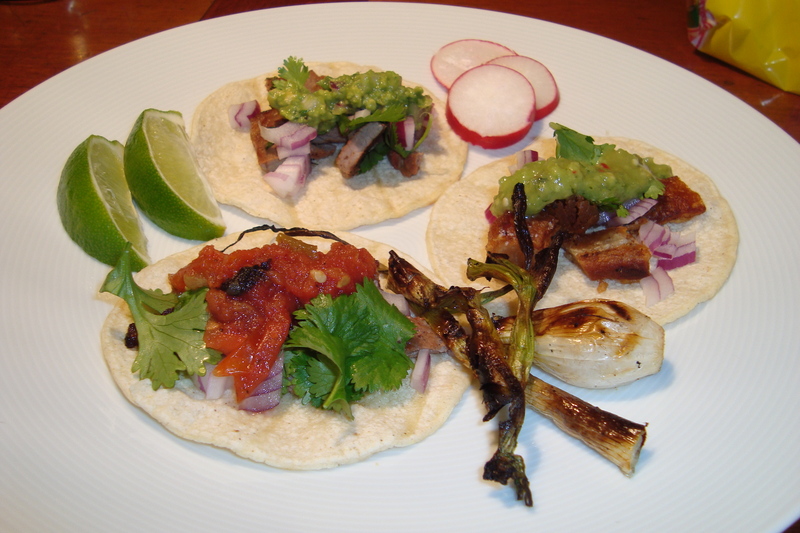 Use diced tomatoes with green chiles (instead of fire-roasted) and omit the chipotle in adobo, for a less smokey chili.